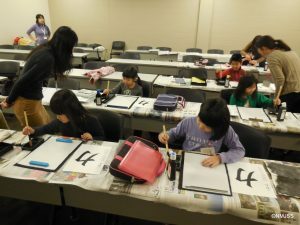 The North Mississippi Japanese Supplementary School at The University of Mississippi (NMJSS) was established under the support of The University of Mississippi (UM) and Japanese companies located in the north Mississippi area in April 2008. The main purpose of this school is to help Japanese families and students settle in this area and to maintain their education and culture. The NMJSS affords our students the opportunity to study together with other Japanese peers. The classes are held once a week on Saturdays on the UM campus. We offer elementary and middle school (1st to 9th grade level). We also hold some Japanese style school events, such as a Sports Day and New Year’s Calligraphy. Located in north Mississippi, Oxford is a beautiful and safe academic town. 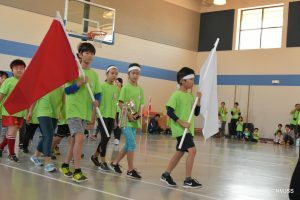 We hope to help our students to maintain their Japanese identity, Japanese language, and native culture even while they are enjoying their lives here in the United States. 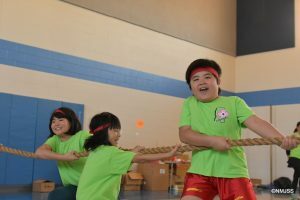 We teach Japanese and Mathematics as primary subjects alongside Social Studies, and we use the same textbooks as in schools in Japan, following curriculum guidelines issued by the Japanese Ministry of Education, Culture, Sports, Science and Technology. Our students study at local schools on weekdays, and in addition to that, they study at NMJSS on Saturdays. NMJSS starts at 9:00 and ends at 14:55, including 6 class hours per day. We have more than 400 Japanese books of various genres, including history, novels, classics, old folk tales, and biography in our school library. Our students are encouraged to borrow two books every week, or three for long vacations. They enjoy reading in Japanese, which helps them to improve their reading skills. We try to add books to our library from time to time to meet our students’ interests. Our lunch time is from 11:35 to 12:20. The students bring lunch boxes, called Obento, from home, and they all get together in the cafeteria for lunch. After lunch, they get together in the classrooms, playing board games, origami, card games, and so on. Recess is our students’ most exciting part of the day! The parents play a very important role for NMJSS. They do not just bring their children to school, but they also take turns and take care of our students with library procedures, safety, lunch time, and special events. The school year starts in April and ends in March, which is aligned with the Japanese school system. We hold special events such as a Sports Day and New Year’s calligraphy, among others. 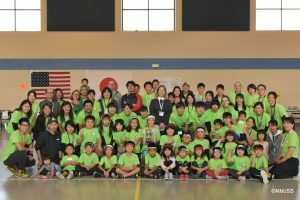 NMJSS is committed to providing an education of excellence to enable the school-age children of Japanese employees of Japanese companies in the area to keep up with their peers in Japan and to help these children integrate smoothly into Japanese school life when they return to Japan. 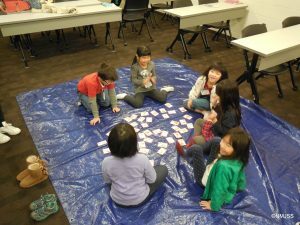 Any local child who would like to study at NMJSS may also be accepted if they have adequate Japanese language skills for participation in classroom activities. Those who are interested are welcome to observe our classes by appointments. We will have interviews with the children prior to enrollment.